Almost exactly a year ago, AMD released a graphics card that required more explaining than most, because it just wasn’t clear to everyone from the get-go who it was designed for. Part of that confusion owes its thanks to the fact that the card sported the Radeon name, and not to mention aesthetics of a high-end gaming GPU. 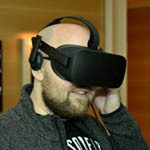 Ultimately, AMD’s Radeon Pro Duo was designed to serve a similar purpose as NVIDIA’s TITAN X – it’s a GPU built for content creators, but one that has the horsepower to deliver top-end gaming experiences. The latest Pro Duo is a workstation card through-and-through. 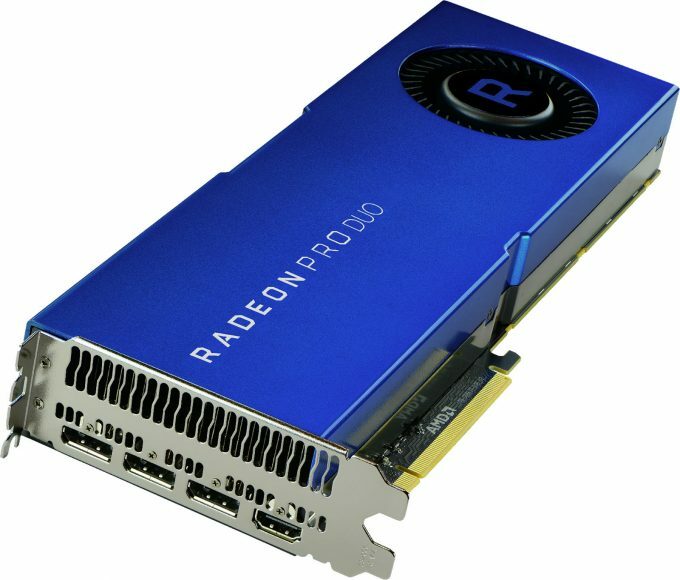 It sports the same overall look and design as the company’s other Radeon Pro cards, with the sharp blue color being the most obvious tip-off. 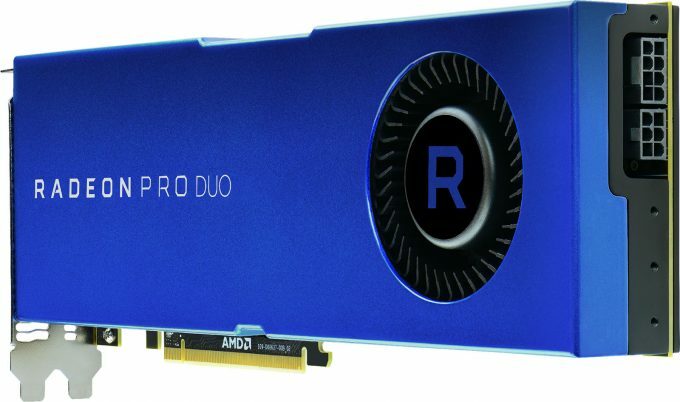 “Duo” isn’t just a name; this card is in effect two Radeon Pro WX 7100s put together. A single WX 7100 alone is an impressive piece of hardware, especially since it’s a single-slot design. This Pro Duo is a dual-slot design, as would be expected, and delivers a total of 11.45 TFLOPs of single-precision compute performance. By contrast, last year’s Pro Duo peaked at 16.3 TFLOPs, so if you still have one of those, you’re not exactly lacking. It’s a bit odd to see a new model come out that’s slower than the last one, but for a handful of reasons, this latest iteration is much improved over the last one. The previous Pro Duo used HBM, which meant that the memory configuration was expensive, and lacking, at a meager 8GB. Meanwhile, the latest Pro Duo increases the framebuffer size by 4x, to 32GB of “ultra-fast” GDDR5 (a bandwidth spec hasn’t been provided). Also worth mentioning is that this new Pro Duo has a TDP 100W less than the old one, which allowed AMD to use an 8+6-pin power configuration in lieu of last-gen’s 8+8+8-pin (yes, three). Another huge perk: there’s no longer a need for an external liquid-cooled solution, making this latest card a lot easier to install and manage. Let’s do some quick math. If the WX 7100 costs $799 for its 5.7 TFLOPS, and the Pro Duo costs $200 more for twice that, what does that equal? A damn good deal, that’s what. I would have expected this card to cost more than $1,200, so I am pleasantly surprised to see AMD keep it to $1,000 (or one dollar less, if we’re going to be that trivial). It’s worth mentioning that NVIDIA’s top-end Quadro P6000 boasts performance of 11.75 TFLOPS at peak, but it costs five times as much as this Pro Duo. NVIDIA’s card is going to be faster in some scenarios (the company’s R&D and driver teams make sure of that), but it’s not going to be faster in all cases. It’s impossible to not be impressed with the value proposition here. The latest Pro Duo is a creative workhorse at a great price. Color me impressed.